April is Occupational Therapy Month. While it’s a therapeutic service that helps the elderly, some people don’t really know what occupational therapy is. Learn more and find out how occupational therapy helps seniors who want to age at home. The goal of an occupational therapist is to assist people in doing the things they need to do each day. If there are things your parent wants to do but is unable, occupational therapists can often help with those goals, too. Living at home, you have activities of daily living (ADL). You also have instrumental activities of daily living IADL). The ADLs are the tasks you must do to survive, such as go to the bathroom and eat a meal. IADLs are the things you want to do independently. They include tasks like cooking a healthy meal, shopping for groceries, and scheduling appointments. An occupational therapist can help with all of those tasks. 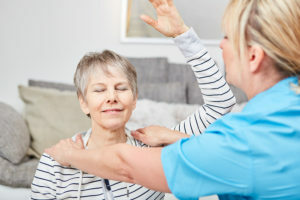 If you want to grow old in your home, an occupational therapist can work with you and your family to determine what you need to do to stay safe. That may include teaching you how to remain mobile when you need a walker or how to use an extendable grabber tool to get hard to reach items. Occupational therapists may work with your parent to help alleviate pain that keeps your parent from doing certain tasks. If your dad doesn’t button his shirt because of arthritis in the fingers, an occupational therapist may teach him to use hot or cold compresses to soothe the pain and make getting dressed easier. Several chronic conditions that are helped by occupational therapy. They include Alzheimer’s disease, arthritis, diabetes, and stroke. To work with an occupational therapist, talk to your mom or dad’s doctor first. You may need the referral if there are plans to get health insurance to cover some of the cost. The occupational therapist will assess your parent’s abilities and come up with strategies to help improve your parent’s abilities. Occupational therapists help your parent learn how to best use existing skills to live independently. Caregivers fill in the gaps where things are simply too hard for your parent. If your parent’s vision has changed, the doctor may say driving is unsafe. An occupational therapist can’t magically restore eyesight. 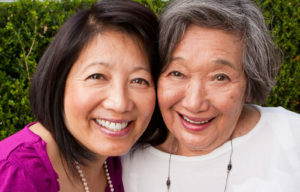 Caregivers can put your parent in the car and drive to the nearest store or doctor’s office. Caregivers offer other services like assistance with personal care, meal preparation, and companionship. Call to discuss rates today. If you or an aging loved-one are considering a Caregiver in Post, TX, please contact the caring staff at Best In-Home Care (806) 412-0723. It’s not unusual at all for aging adults to collect quite a bit in the way of belongings. At some point, you might have to help your senior to pare down those items and it’s not always so easy to do. So many items can remind your aging adult of specific memories or of people she loves. These types of items are very tough to deal with because of that emotional impact. Some of these objects may be ones that she can hold onto or that she can pass on now to family members who will appreciate them. Sometimes people keep items around because they’re convinced that those items will be worth a lot of money one day. Your elderly family member might not be holding onto those to make money for herself, either. She might believe that you and other descendants could one day profit. Try to get an accurate picture of whether she’s right or not and make decisions accordingly. Thinking about doing anything with items that she’s lived with for decades can be a blow to your senior’s system. Even if she knows that her health is not so great, she still may not have thought consciously about her own mortality. Determining what to do with her belongings can bring that issue front and center for her in a scary way. If your elderly family member is having a really difficult time parting with some of her belongings, sometimes a temporary solution can help. Consider renting a small storage space and place some of the items there. This can give your senior time to enjoy the space that you’re creating and she might come to a decision about some items given a little more time. Now that you’re gaining a little bit of space with your senior’s belongings, try to maintain that ground. 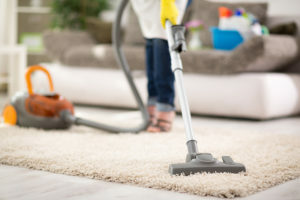 Senior care providers can help with cleaning and light housework, which can be a great way to ensure that spaces don’t get cluttered again. They can also help you to stay in the loop about whether those spaces are starting to fill up again. For a lot of people, stuff is just stuff. But there are often big psychological implications with clearing out objects and items that have been with your senior for a long time. Be gentle with her and with yourself as you work through what to do with some of her belongings. If you or an aging loved-one are considering Senior Care in Ralls, TX, please contact the caring staff at Best In-Home Care (806) 412-0723. When you’re just trying to get your senior the most help that you possibly can, it’s irritating when she won’t accept that help. There might be a lot more than you think behind that refusal, too. It’s important to admit from the start that you’re frustrated. 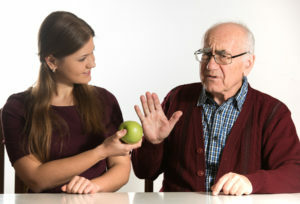 When you know that something could help your senior’s quality of life, it’s definitely frustrating for her to refuse whatever it is. Admitting that can help you to relax a little bit and take the next few steps. Ask your senior again why she’s against this idea and really listen. Some of her reasons might not seem all that reasonable. So it’s important to weed through them. At the heart of her objections you might find fear, particularly fear that she’ll lose her independence or even that she’ll lose you as her caregiver. It’s not uncommon at all for aging adults to worry that having elderly care providers step in means that family members are stepping out. You have to be persistent, too. Just one conversation is not likely to be enough to sway your senior to your point of view. 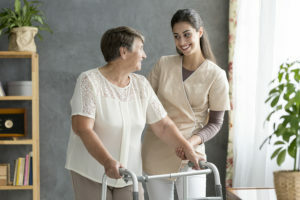 In all honesty, one conversation is likely not enough for her to truly open up to you about why she’s uncomfortable with having elder care providers assisting her. Along with persistence, you need to practice patience, too. She may be resisting because she’s honestly scared to be dealing with one or more new people in her life. It can take time to become okay with that idea. You need to persist on the topic, but do so in a caring, loving, and patient way. Finding compromises is where both you and your elderly family member are more likely to achieve that sweet spot in this situation. 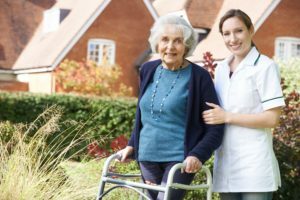 Perhaps you’ll hire elderly care providers, but they’ll only be there on a temporary basis or only during hours in which your senior is okay with them being there. Or maybe you agree that they’ll only handle certain activities for your senior. There are likely going to be quite a few times when you and your senior don’t agree on something that she needs or should be doing. You might find it helpful to apply this same sort of process to those issues so that you can get to a better place with those issues more quickly. If you or an aging loved-one are considering Elderly Care in Lubbock, TX, please contact the caring staff at Best In-Home Care (806) 412-0723. Laundry rooms can be a big source of trouble, especially if your elderly family member doesn’t have the same cognitive abilities that she did in the past. You can secure parts of the room or the entire room, but it’s probably a good idea to put some plan in place. Chemicals are one of the biggest safety concerns in your senior’s laundry room. Besides bleach, fabric softener, and laundry detergent, there may be other household chemicals in this room, too. Put them in a high cabinet and lock the doors, if possible. Remember that pods, while convenient, are even more dangerous because they look like candy to some people, which can especially be a problem if your senior has cognitive problems. Laundry machines can be an intriguing spot for your senior. She might put things in the machines that don’t belong in them, which can be a problem later. Close the doors to laundry machines when they’re not in use. You might also want to consider adding child locks to the doors, just to secure them further. If your elderly family member is prone to turning on the washer or dryer randomly, you might want to unplug them when they aren’t in use. This can be a tough habit to get into, but it can keep your senior’s electrical bill down and reduce the risk of problems caused by someone turning the machines on when they shouldn’t be. Some of the other items in the laundry room could also pose issues. Hangars, clothespins, and drying racks can all be tripping hazards and can be confusing for seniors with cognitive issues. It’s a good idea to keep these items corralled instead of hanging around loosely. When you’re not sure how to secure all the little items in a laundry room, one of the best things that you can do when you have a door is simply to secure that door. A sliding lock up at the top of the door’s frame can be a really simple answer. Then you’re still able to access everything with little hassle but you know the room is secure when the lock is engaged. Home care providers can take care of the laundry for your senior, leaving her little to no reason to have to venture into the room at all. Consider this solution especially if your elderly family member has dementia or other cognitive problems that cause her difficulty with reasoning. If you or an aging loved-one are considering Home Care in Tahoka, TX, please contact the caring staff at Best In-Home Care (806) 412-0723. Excerpt: For some aging adults the laundry room might not be as safe as it was in the past. Among the most disturbing behavior symptoms of dementia is when a senior cries out for help or screams uncontrollably. It can be a frightening thing to witness and cause distress to caregivers. When the behavior occurs, it can be helpful to have some insight into why it may be happening and what to do about it. Needing something, like food, water, or the bathroom. Feeling bored, anxious, or lonely. Frustration over the inability to communicate. Have the doctor check the person for depression and anxiety. If either is present, treatment may help to resolve the behavior. Don’t ignore what is going on or try to talk over the screaming or crying. Instead, talk to the senior and involve them in what you are doing. Always provide directions as you are doing something with the person, such as helping them to dress or bathe. The behavior can be triggered by not knowing what is going on or why you are doing something. Play Music: Turn on some music that you know the older adult likes. Familiar music can offer them comfort. Pet Therapy: Encourage the older adult to interact with their pet. Let them hold the cat or pet the dog. Go Outside: Sometimes going somewhere else can stop the behavior. Some fresh air may help the senior to relax. Have a Snack: Enjoying a food they like might stop the behavior. Have favorite snacks on hand to give them during such times. Elder care can assist families struggling to deal with the difficult behaviors of dementia. Elder care agencies are often able to match the experience of their staff members to the needs of their clients. This means that your aging relative’s elder care provider is likely to have experience with dementia patients and know some tricks to deal with behaviors. If you or an aging loved-one are considering Elder Care Wolfforth, TX, please contact the caring staff at Best In-Home Care (806) 412-0723. Does your parent have fond memories of going to baseball games and purchasing a bag of warm, roasted peanuts? Do they think a game of cards isn’t the same without a bowl of peanuts on the table? Or, perhaps they love anything with peanuts in it. If your elderly parent is among the millions of Americans who love peanuts, March is the month for them. It’s National Peanut Month! Peanuts are a kind of nut that comes from South Africa—well, sort of. Technically, they’re not nuts at all, but a kind of legume. They grow underground and are sometimes called goobers, earth nuts, or groundnuts. In the United States, people eat very few raw peanuts. The majority of peanuts are consumed as roasted peanuts, salted whole peanuts, and in peanut butter. They are also used to make peanut oil, peanut protein, and peanut flour, as well as being used in lots of desserts and savory dishes. Peanuts are an excellent source of protein. A serving of peanuts (about 100 grams) contains 25.8 grams of protein. That’s nearly as much as a 3-ounce serving of beef steak, which has 29 grams of protein. 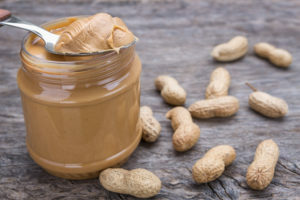 However, peanuts may be a better choice because they contain mainly monounsaturated fat and polyunsaturated fat while beef contains saturated fat. 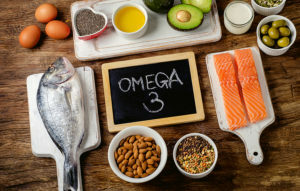 Eating too much saturated fat can raise cholesterol levels. Therefore, the American Heart Association recommends no more than 6 percent of a person’s daily calories come from saturated fat. Copper: Getting enough copper is important to heart health. Niacin: Niacin, or vitamin B3, is another nutrient linked to heart health. Vitamin E: Vitamin contains antioxidants. Thiamin: Thiamin is another B vitamin. It is necessary for the body to turn carbs into energy. Phosphorous: Phosphorous is needed to keep tissues healthy as well as for building new tissues. Magnesium: Magnesium is another mineral that is believed to keep the heart healthy. As healthy as peanuts are, there is such a thing as “too much of a good thing.” Peanuts are high in calories, so they should be incorporated into your parent’s diet with care. Too many of them could lead to unwanted weight gain. If your parent likes peanuts, senior care can help them to include peanuts in a healthy diet. Senior care providers can make meals that include peanuts, like Asian and South African dishes. They can also bake desserts that use peanuts and peanut butter. Senior care providers can also offer the older adult a handful of nuts now and then to enjoy as a snack. Caregivers sometimes struggle from caregiver burnout or stress. Doctors and other healthcare providers may suggest that you try a caregiver support group to manage the emotional aspects of the role. But, with so many caregiver support groups out there, how do you decide which one is right for you? Below are some tips that may help. Spend some time considering all the options that are available to you. Look for in-person groups in your community. Find out if they are peer lead or lead by a professional facilitator. You may be able to find a support group that is geared toward your aging relative’s specific condition, such as a group for Alzheimer’s caregivers. If an in-person group isn’t for you, you may be able to find one online that suits your needs. The benefit of an online group is that you can check in on forums and messages when your schedule allows. It’s okay to try a couple different groups. You’re not stuck with one just because you attended one meeting. Trying different kinds of groups can help you to find the one that you feel most comfortable with. While you’re trying out different groups, consider giving the ones you’re not sure about a second chance. Sometimes it takes a bit to get comfortable with people and feel like you want to share your caregiver struggles. Organizations that deal with your older family member’s condition, such as the ALS Association. Local senior centers or Agencies on Aging. If you know other caregivers, talk to them about support groups. Ask if they belong to one or if they know of any. Often word-of-mouth recommendations are the best kind. And, if you attend a group with someone you know, it may help you to feel more comfortable. Although one reason for being involved in a caregiver support group is to have somewhere that you can vent your feelings, you don’t want to get mired in negativity. Look for a support group that provides a space to talk about feelings and concerns, but that has a community focused on uplifting and supporting one another instead of just complaining. If you or an aging loved-one are considering Caregivers in Slaton, TX, please contact the caring staff at Best In-Home Care (806) 412-0723. It’s never productive to be at odds with your senior, but when you’re not even sure what the issue is, that makes everything so much more difficult. These tips can help you to find solutions for what you’re experiencing. Sometimes you need to be subtle, but other times it’s better to just dive right in. If you haven’t already, try asking your elderly family member straight out what’s going on. She might be upset about something else and just taking it out on you. Or there might genuinely be something going on and she hasn’t known how to bring it up with you. Regardless, one straightforward conversation can solve a great many mysteries. If the problem is one of expectations, that’s something you’ll need to adjust. For instance, your elderly family member might have one set of expectations while you have another. When those don’t match up, conflict ensues. If your senior expects that you’ll do specific tasks by a specific time of day, like laundry, she might get upset if you don’t meet that expectation. Clearing up those misunderstandings helps a lot. Something else that can help is to talk to someone else who understands what you’re going through. Ideally, other caregivers are an excellent choice for this. Joining a caregiver support group allows you to meet a variety of other caregivers who have been where you are. If you’re in need of bigger help, though, a therapist who specializes in caregiving issues might be a good solution. Is it Something You Can Just Let Go of for Now? Finally, you might find that this needs to be an issue that you just let go of on your end. If it doesn’t involve your senior’s safety or something else that is mission critical, you might have to just let it go for now. This isn’t always the easiest option, but it can be the one that allows you to move on for now and focus on the situations that are mission critical. In some cases, you may need to take a step or two back from caregiving for a little while. The breather gives you some space and can allow both you and your senior to approach your relationship from a different point of view again. Elderly care providers can handle whatever your senior needs and you’ll know she’s in good hands. If you or an aging loved-one are considering Elderly Care Wolfforth, TX, please contact the caring staff at Best In-Home Care (806) 412-0723. Excerpt: It’s never fun to find yourself at odds with your aging family member. When it’s happening all the time, you need to find a solution. Each minute, about six senior citizens is seen by an emergency room doctor following a fall. About four times an hour, elderly people die from injuries received during a fall. Those falls might happen tripping over an object on the floor or falling while trying to reach something on a high shelf. Some falls occur because balance isn’t what it used to be. Do you notice your mom struggling to maintain her balance more than in the past? If so, she should work on strengthening muscles to help with balance. Talk to her doctor to make sure she’s able. If she is, here are four unique exercise programs that can help. You’ll typically find Aqua Pi Yo Chi classesheld at your local YMCA. The program takes place in a heated pool and blends movements from Pilates, Tai Chi, and Yoga to help strengthen the core muscles. It also uses breathing exercises and meditation practices to help de-stress. It’s in the water, so there’s no stress on the joints, which is great if your mom is arthritic. Bollywood dancing can be an incredible workout. Look for dance therapy classes designed to be slower for those new to the dance. Some classes allow participants to sit down from time to time as needed. Bollywood dancing will help strengthen core muscles, work on balance skills, and help improve a person’s gait, too. Pronounced “chee-gung,” this Asian practice means, essentially, “breath skill.” Through gentle movements, stretches, meditation, and breathing exercises, it helps the body heal from within. While practicing deep breathing, the participant will sway, bounce, stretch, and move the body in set patterns that gently tone and stretch muscles. Breathing is incorporated throughout to help ease stress and tension. Tai Cheng is a comprehensive form that takes Tai Chi and blends it to build core body strength, balance, mobility, and ease pain and stiffness. A comprehensive program usually includes a dietary guide to help improve nutrition and aid weight loss. Have a home care agency do a safety check of your mom’s home. You may think you’ve done all you can to ease the fall risks in certain rooms, but a professional may find things you overlooked. Call a home care agency to talk about this and services caregivers offer that can keep your mom on her feet. If you or an aging loved-one are considering Home Care Shallowater, TX, please contact the caring staff at Best In-Home Care (806) 412-0723. Elder Care Slaton TX: Can Cooking Be Easier for Your Senior? Cooking may be something that your elderly family member has done for a long time on her own. Whether she loves it or simply tolerates it, cooking might be getting more difficult for your senior to do easily on her own. Finding some ways to make cooking easier can make it more appealing and safer, to boot. Whenever possible, try to prepare ingredients for your senior in advance. This is especially helpful if she has trouble holding a knife well or for longer periods of time. If time is a big issue for you, too, then consider buying ingredients pre-chopped. This can save a ton of time and effort and still make sure that your elderly family member is able to cook healthy meals. If your elderly family member is cooking recipes that involve lots of different cooking methods, utensils, or pots, then cooking is going to be more challenging for her. One way around this is for her to cook meals that are one-dish meals. Even slow cooker or pressure cooker meals make cooking fun and yet use a minimum of utensils. Using slow cooker liners inside the well can even help with cleanup later. Your elderly family member’s appetite might fluctuate a bit and she may occasionally cook more than she can eat. Freezing those meals in individual serving containers allows her to save meals for later. Be sure to help your senior look for meals that reheat well to make that even easier. If you do freeze them, make sure to label each container so there’s no doubt about what’s in it or how to reheat the food. Elder care providers can help immensely when your aging adult is having trouble in the kitchen. They can lend a helping hand or take over meal preparation for your senior, whichever she prefers. If your elderly family member really wants to do as much as possible on her own, they’re there to make sure that she’s as safe as possible. Cooking can keep your elderly family member mentally and physically more active. It’s also an important way to make sure that she knows what she’s eating. For some aging adults, not knowing what’s in their food can contribute to paranoia about food, which is not something you want to happen. If you or an aging loved-one are considering Elder Care in Slayton, TX, please contact the caring staff at Best In-Home Care (806) 412-0723.